Blackrock Mountain: Molten Core – Now Open! You’ve successfully emerged from the Blackrock Depths after laying its bosses to rest, but it looks like you might have gone straight from the frying pan into the fire. It’s time to face the heat and hotfoot your way into the second wing of Blackrock Mountain—Molten Core! Molten Core is the heart of Blackrock Mountain, and its blood is piping-hot magma. This is the domain of Ragnaros the Firelord, summoned to Azeroth long ago by the Dark Iron dwarves in a bid to gain power over their enemies. That didn’t work out too well for them . . . but it’s great for you! 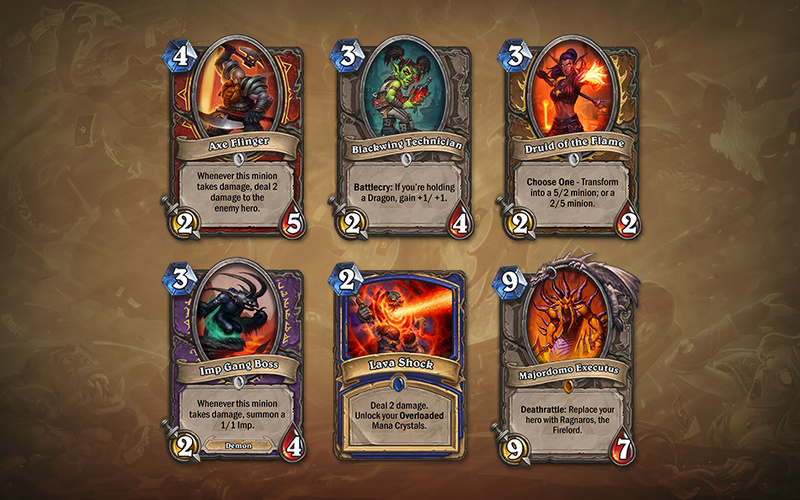 Now you can delve into the searing tunnels of Molten Core, face the Firelord’s fierce elemental servants, and emerge with brand new* Hearthstone cards! 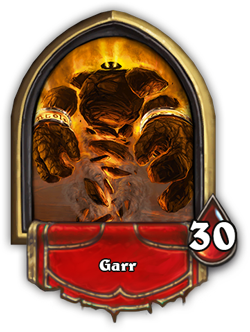 One of Ragnaros’s lieutenants, Garr is a hulking elemental made of pure obsidian. With the help of his little Firesworn buddies, he can’t wait to rock your world. If your rumble with his posse results in victory, you’ll roll away with two copies of the Druid of the Flame card for your Druid decks. 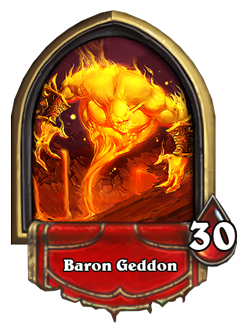 Baron Geddon used to be Ragnaros’s second in command, until Majordomo Executus snaked into his spot. 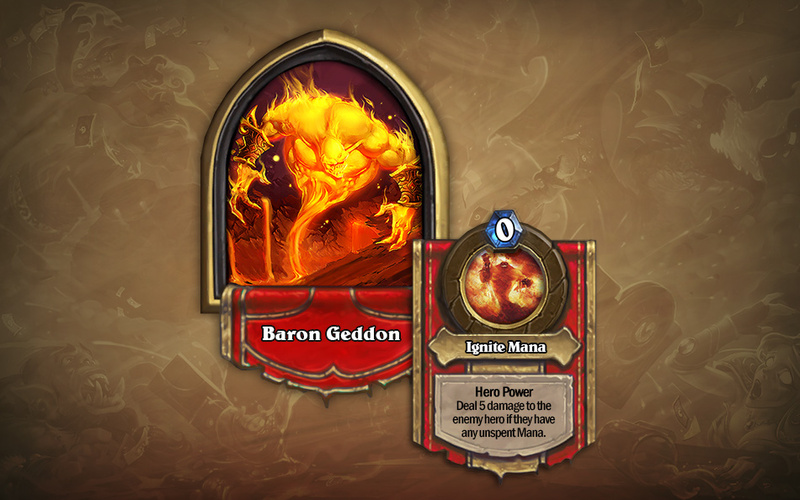 Now Baron Geddon is ready to unleash his fiery temper on any foolish heroes who trespass into Molten Core. Chill the Baron out to earn two copies of the Blackwing Technician card for your collection. An elemental lord’s most trusted lieutenant can rise to become their majordomo, responsible for taking care of their master’s affairs while they are otherwise indisposed. We’re not naming any names, but some of those majordomos are more than willing to throw their boss into the waiting arms of brave adventurers. Executing Executus will net you two copies of the Imp Gang Boss card for your Warlock decks. 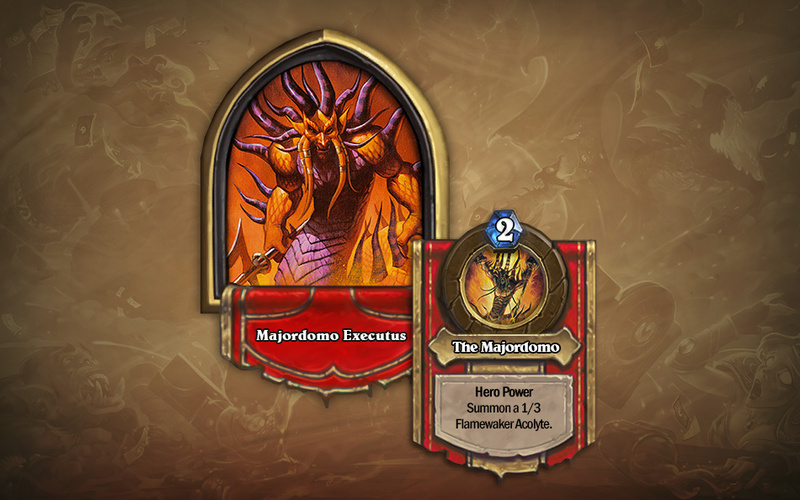 Extinguishing all of the bosses in Molten Core will place the Legendary Majordomo Executus card into your service. 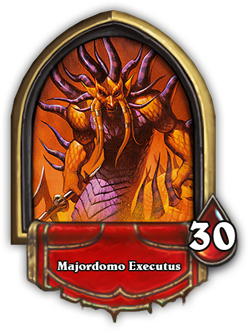 Two Class Challenges will also become available to players who have defeated all of Molten Core’s bosses on Normal Mode. Class Challenges feature prebuilt decks, and will put your skills with specific classes to the test. Molten Core has challenges in store for Warriors and Shaman. Warriors who crush their foe will arm themselves with two copies of the Axeflinger card. 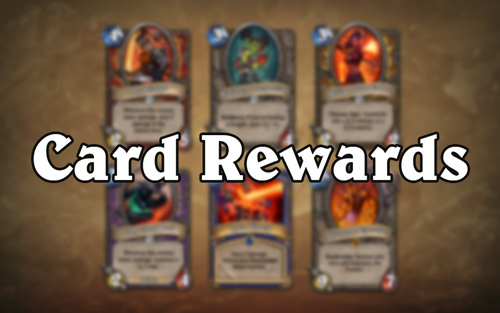 Shaman who guide the elements to victory will be awarded with two Lava Shock cards for their elemental arsenal. For those of you looking for a more intense challenge, Molten Core’s Heroic Mode becomes available after you’ve defeated all of its bosses on Normal Mode. Heroic Mode bosses are significantly more difficult than their normal versions, so you might have to really think about how to tailor a deck to achieve victory. 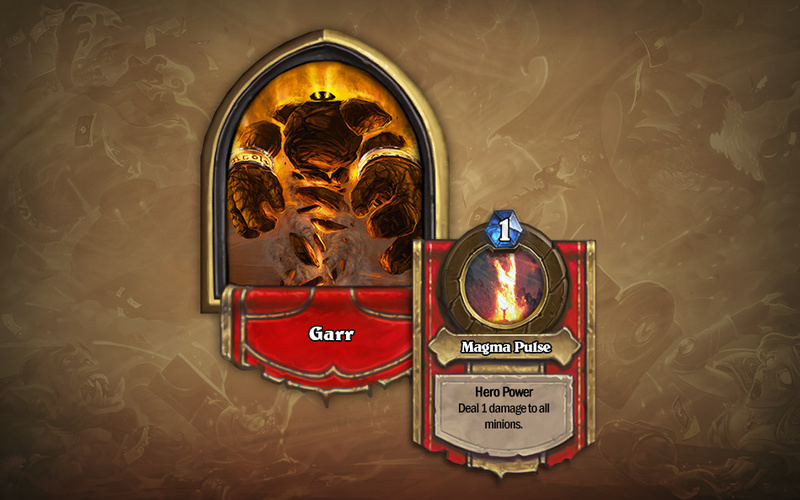 Experience the elemental fury of Molten Core in Blackrock Mountain: A Hearthstone Adventure today!